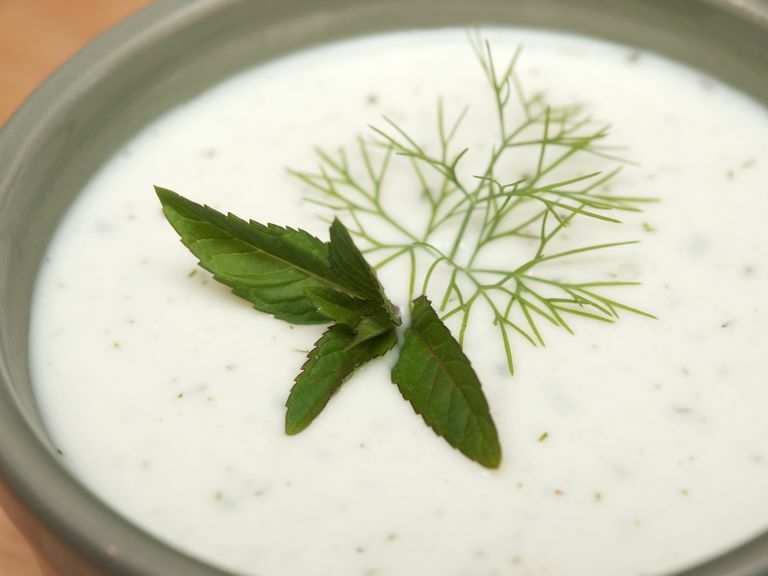 This is a refreshing cold summer soup, made with cucumber, yogurt, honeydew melon, cilantro, and mint. You can use regular yogurt instead of Greek-style, but if you do, add a couple of grams of carbohydrate per serving. Cut the cucumber into large chunks—about five or six pieces. Put everything into the blender and blend it up. Taste. It's going to vary a bit according to the sweetness of the melon, the tartness of the yogurt, etc. You may like more mint or cilantro or salt. Adjust the amounts to your taste. I like to serve this soup with a few small mint leaves as a garnish and a sprinkling of sea salt over the top.